Perhaps because Hungarians use the Eastern name order like most of Asia, there is a very healthy local drifting scene. Watch this incredible clip of a recent meet. With a political class comprised of imbeciles, Communists, thieves and a strong selection of imbecile Communists turned thieves who operate a hungry and comically inept state, Hungary is not exactly a success story in recent years. A refreshing exception to the general malaise is the local drift scene, which has grown by leaps and bounds since its birth around 2005. Fueled by an abundance of BMW E30’s and inspired by AE86-o-philes braving the incompetence and plundering of the local postal and customs services to order specialist components from Japan, drifting happens all over the country. 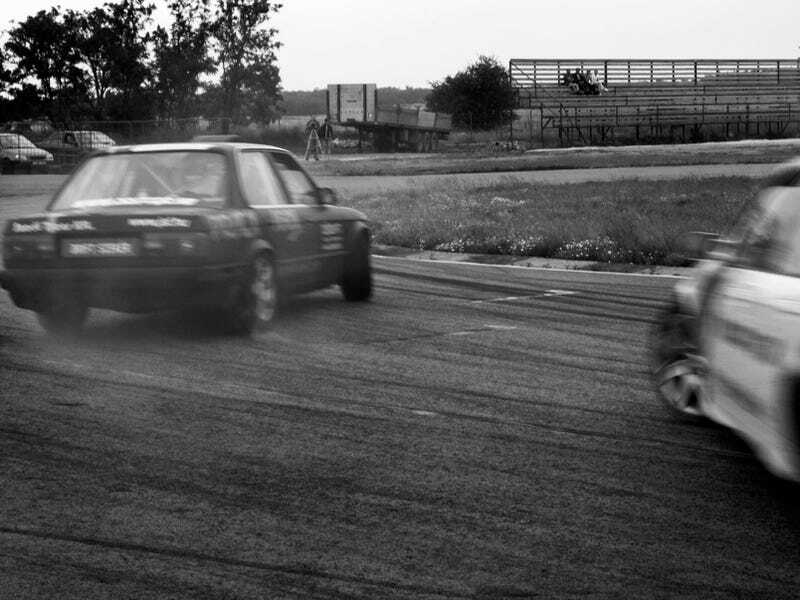 I have written about it before, but if you don’t consider a thousand words your friends, I strongly suggest watching this 3'35" video of a recent drift contest, held at the Kakucsring racetrack 30 miles southeast of Budapest. It was edited by whiz kid György Szeljak, whose work has been featured on Jalopnik before, and the only spoken Hungarian words translate to “pool party on Friday,” so don’t fret about volumes of Moon language. Apart from that, it’s 215 seconds of noise, smoke, ratty Bimmers, suave tsuiso moves and incredible camera angles. Don’t miss the Jolly Roger joining the Hungarian flag on a rear wing tacked to the bootlid of an RX-8.